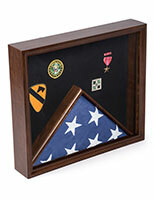 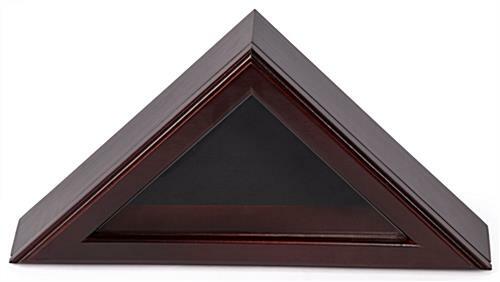 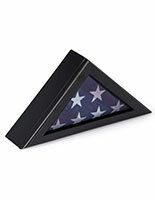 This mantel flag case has authentic solid wood construction and intricate touches military veterans want in an ensign frame. 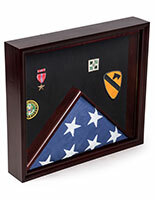 Yet, these boxes are not overly ornate; they are just decorative enough to subtly accent the banners on exhibit. 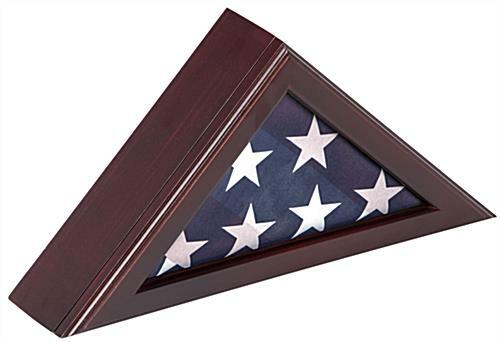 Family members of present and former military personnel exhibiting veterans' burial ensign in this 3' x 5' premium flag case with a mahogany wood finish will ensure display with the distinction it deserves. 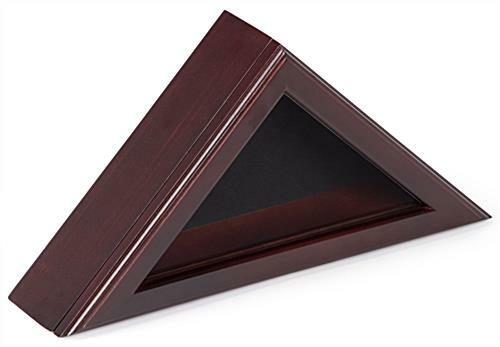 The glass front with magnetic clasp holds the front securely in place, keeping burial and casket banners free from dust and other damaging elements. 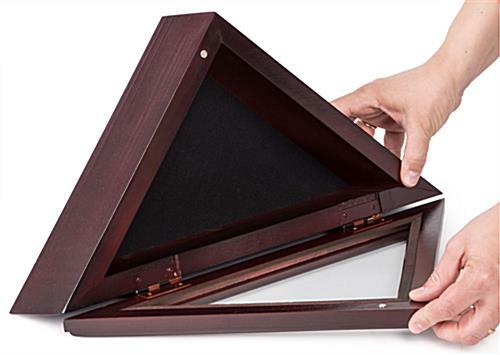 On the back of the case, there is a saw-tooth hanger for mounting the unit on the wall. 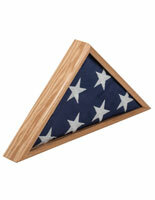 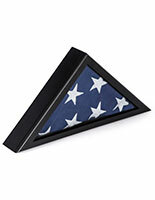 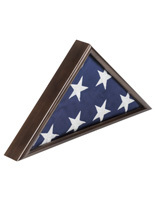 This solid wood banner display is the perfect addition to any military veteran’s memorial. 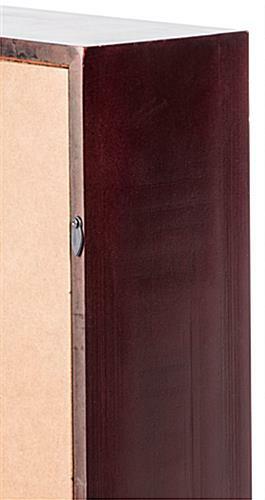 17.3" x 8.6" x 4.1"
13.5" x 6.5" x 3.0"